Tenebrae will be hosting auditions for tenor and bass positions as part of their Associate Artists scheme which will begin in September 2016. The position of Associate Artist will be a year-long fellowship, providing four singers (Soprano, Alto, Tenor, Bass) with training and mentoring from Tenebrae’s Artistic Director and professional singers, and experience in both live and recorded performance ensemble work through active engagement with Tenebrae’s national and international performance and recording schedule throughout the concert season. Associates will also receive training in music pedagogy, and go on to put this into practice through a series of new education and community partnerships. 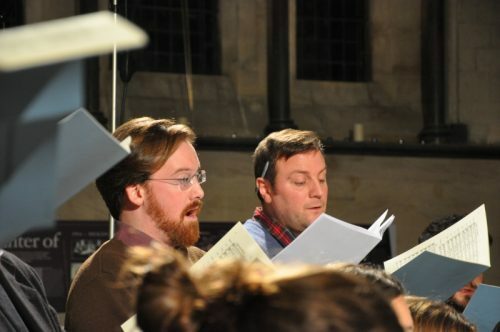 Each Associate Artist will, on taking the position, be offered at least £5000 worth of professional work paid at the standard Tenebrae rates for all its singers. If you are interested in applying for the scheme, please send a covering letter, up-to-date CV and reference to info@tenebrae-choir.com. Should you be called to audition, auditions will take place on 4th and 5th May 2016. Applications close at 9am on Monday 25th April 2016. See here for more information on the scheme. ← BBC Music Magazine Award Winners!